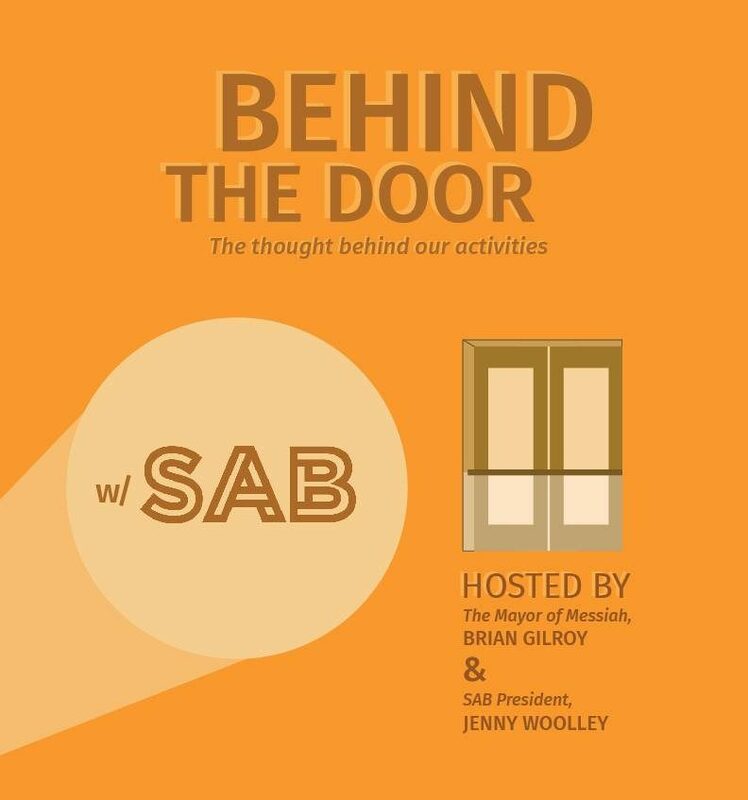 On Wednesday, SAB held their “Behind the Door” event in the Union. It was designed similarly to that of a talk show, with hosts, Jenny Woolley, president of SAB, and Brian Gilroy from SGA, interviewing SAB executives about their roles and various events they have planned this year. There are three main components to SAB—Coordination, Community, and Culture. The Coordination team is made up of Kevin Lyon as treasurer, Lindsey Macariola as the marketing executive, and Hannah Grubb as the graphic designer. Their main initiatives involve coordinating with the student body and bringing awareness to upcoming events. In the Community sector of SAB, the events are centered around bringing the student body together. George Noble is the excursions executive, Becca Ford is the student talent executive, Megan Anderson is special activities executive, and Christy White is the dance executive. Inclusivity is a priority for these leaders as they plan events throughout the year, including a variety of events allows everyone to benefit from them. “It’s my goal [this year] to plan excursions for everybody, like something different each month,” Noble said. Some places he wants to have excursions this year are Zoo America and a bowling alley. Grant Zimmerman, Lost Films executive, Seth Weber and Matthew Sechrist, concerts executives, and Madison Scialanca, B-Sides executive, make up the Culture portion of SAB. They try to connect the student body with aspects of pop-culture whether through movies, music, or current events. They are also still in the process of hiring a Cultural Engagement Executive.